Wrap up on my 7 day vegan "challenge"
So on Monday April 30th I started my 7 Day Vegan “Challenge”, and I figured out when you are eating vegan, you cook a lot! I cook often as it is, but eating vegan meant preparing breakfast, lunch, snacks and dinner at home everyday, especially during the work week. Reading labels, I had no idea how many foods that I eat everyday contain milk, eggs, whey, casein, and a lot of other animal based products. 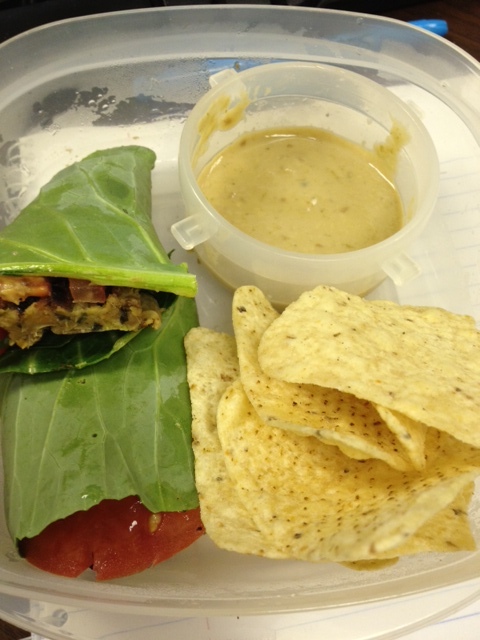 Grabbing a quick bite for lunch is a lot more challenging, even veggie burgers at restaurants are not usually vegan, and avoiding the plethora of cookies, snacks and candy that are always in the office was a big temptation (see my post about the temptation of a butterfinger). As I wrapped up yesterday evening I had imagined my first thought would be to eat a favorite food (cheese) or go out to lunch; but it wasn’t, actually I thought about how good I felt all week; I had lost 4 pounds, I felt a little less “bloated”, I had tried a few new ways of preparing food (collard wraps, using nutritional yeast), and so much more. So I have decided to continue trying to incorporate as many vegan dishes into my diet as I can. I decided to take this on as a challenge to myself and for my health. After over 20 years of not eating meat, and only starting to eat seafood a few years ago, I knew this would be a different way to look at cooking and eating. I may still have a little seafood from time to time (which I know is the opposite end of the spectrum), but I am going to continue to look for more tasty vegan dishes, which I have learned after this past week, isn’t so hard. 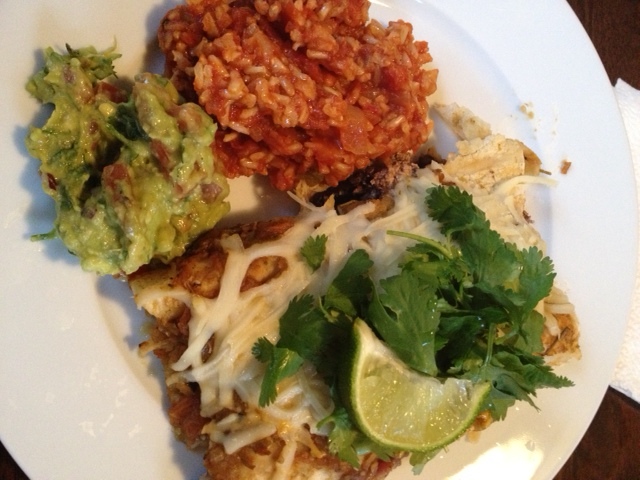 During the past 7 days, I have made some tasty food (see here), including a spicy delicious Cinco de Mayo dinner. Also, if you haven’t heard the South of the James Market is back at Forest Hill Park (and Lakeside Farmer’s Market is in full swing, along with Byrd House Market and a lot of others ). 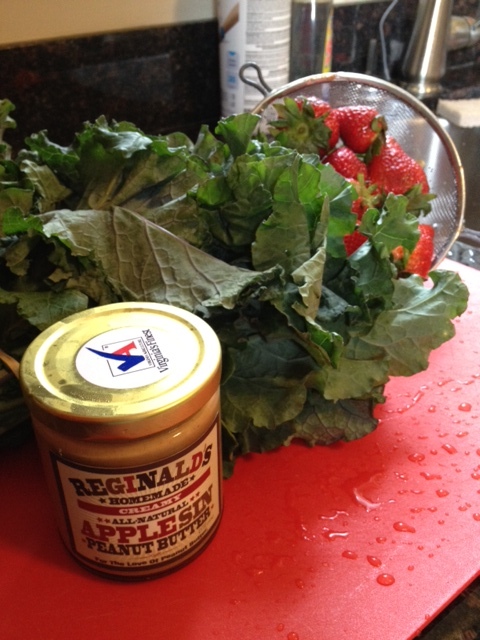 This weekend I headed out and picked up with strawberries and kale from Walnut Hill Farm and apple cinnamon peanut butter from Reginald’s Homemade, which became a delicious part of y Sunday morning wrap for breakfast with strawberries and bananas. They have quite a few flavors as well as “other butters” so I will be trying a few more.